On our quest to enjoy a different cultural food each evening for dinner, we visited Samurai Japanese restaurant in the San Miguel zone of La Paz. 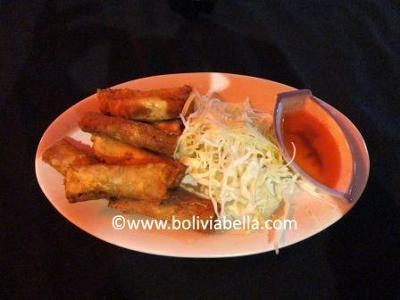 This slightly too expensive restaurant serves a variety of Japanese dishes, but mostly sushi. The food was good, but not out of the ordinary. The California rolls (typically made with cream cheese) were made with mayonnaise instead. 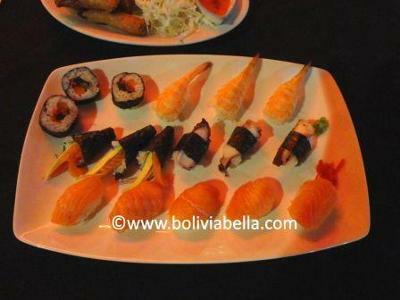 Norwegians know their fish and rather liked that the sushi was made from Lake Titicaca trout rather than the usual salmon. The service was good and the waiter was really friendly. 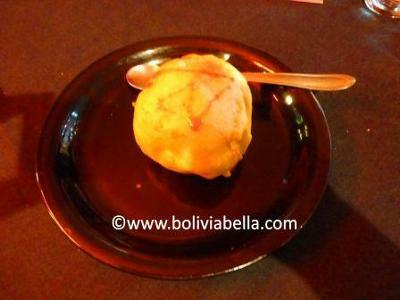 Dessert was deep-fried ice cream (they had a number of desserts on the menu but only two available). The restaurant was quiet and rather empty most of the evening. 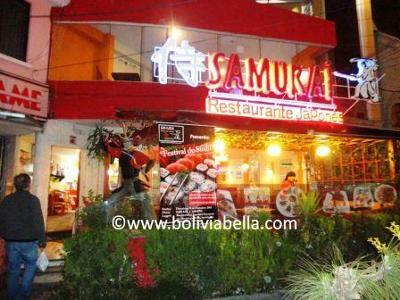 Wouldn't not recommend it, but if there are other Japanese restaurants in La Paz we'd maybe try them.